As most poker players, I have a certain set of “rules” that I play by. Some of them are general rules dealing with how I approach the game and others are more specific like how I play a particular hand against a particular type of player. Today I’m going to share with you two of my general poker rules, specifically as they apply to No Limit Texas Holdem’ tournaments, though they are also equally valid in Cash games. Your bets MUST apply pressure to those acting after you. This is the first thing I tell struggling / timid players and the first thing I remind myself of when I’m running bad. You have to make sure that your bets cause the other players to have to make difficult decisions. How often do you see players opening with a minimum bet, or raising the minimum from late position? These bets don’t apply pressure, they merely build the pot. Blinds are 50/100, early in a live multi-table tournament; assume everyone has 1800 in chips. You have AKo (Big Slick) in late position. 2 players call before it gets to you in the cutoff seat (one before the button). You like your hand and decide to raise. You raise to 200. While it is a fantastic idea to raise with Big Slick, you need to raise a larger amount… you need to apply pressure! This is a very common example of a no-pressure bet that is very common by new players and bad players! If you are going to raise, you need to make a hefty sized raise to make most everyone fold! Think about this: You have two callers who already have 100 invested plus the button, SB and BB left to act. Your raise didn’t cause anyone a second of anxiety. The button now has odds to call with many drawing hands, the BB only has to put one bet in to see the flop and there’s no way the initial limpers are going to fold for one more bet each. What have you accomplished here? The answer is nothing good. Not only have you not isolated against a single player, which should be your goal with this hand, you have built the pot to an amount that gives the chasers a great reason to stick around! The right move here would be to raise a minimum of 3xBB. But I think in this situation, with 2 limpers and 3 players to follow that amount is still probably too small. I think a bet of 4-5xBB is the better move. This bet will apply enough pressure that you may actually win the hand right there. But in this situation, you’ve bet $200 pre-flop (the minimum raise). The SB folds and everyone else calls. The pot has 850. The Flop comes 78K with two hearts, it’s checked to you. You’ve hit Top Pair, Top Kicker which is a strong hand. You are most likely in the lead right now but there are 2 hearts on the board (you don’t hold the King of Hearts, either). This was a great flop for you, but it is dangerous. There’s a possible 4 flush and 4 straight. You’ve got to bet an amount that will put pressure on the drawing hands and 200 just won’t cut it. No one is going to fold their flush draw to a 200 bet when they can win a 1000+ pot. You need to size your bet accordingly. So, what size bet would be good enough to put pressure on the flush draw? A bet of about ¾ of the pot should do it. If you put 600 in the pot, the flush draw now has a big decision to make. That bet will put more than half of their stack in the pot, if they call they’re basically committing to play for the rest of their chips. (This is a very important point. Pay attention to your opponent’s chip stack. A bet that commits their stack is a pressure bet.) If they know what they’re doing, they’ll fold right there, if not you’re about a 3:2 favorite to win the hand and more than double your stack. In this situation you bet 200 on the flop. The BB & first limper call. The pot has 1450. The turn is a 2 of spades. You bet 400. The turn was great for you, it didn’t help the straight or flush draws, but your bet was again too small. A flush or straight draw only has to pay 400 for a chance at 1850. The pot is giving almost 5:1 on a 4:1(approximately) draw. A ½ pot bet would have put the necessary pressure on the chaser, while 400 is an easy call. The river is a T of clubs. You check, the BB bets 500 and you call. The BB shows 96s for the straight. This is where you glare at the BB and storm off to tell your friends how your AK got cracked by 96. But this wasn’t a matter of the BB getting lucky. He played it right on every street. You made his decisions easy by not applying pressure with your bets. The next time you’re ready to throw your chips in the pot ask yourself this question; “Is this bet going to be easy to call?” If the answer is yes, then grab some more chips and put some pressure on your opponents. Rule #2:Don’t swim with the sharks. This is the newest addition to my rule book and it has helped me increase my winnings over the last 6 months more than anything else. The basic rule is this. Avoid playing heads up against players who are as good as or better than you. Get your chips from those players that are less skilled / knowledgeable than you. There are a number of quality players that I play against every week with whom I have never been involved in a big hand. If a typical table has 4 good players and 5 poor players, why would you bang heads with the good players? Get your chips from the ones you know you can outplay. This is really very easy to do. If a player that you believe to be better than you raises, fold. Simple. 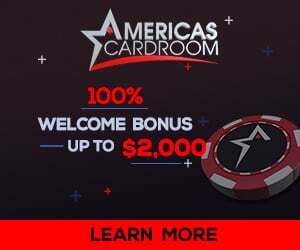 Unless you have a premium hand (AA,KK,QQ,AK), why get involved? Just wait for an opportunity against a fishy player. That means you’ll be folding hands you might normally play, like AJ or KQs, etc. If you do have a premium hand, then don’t just call, re-raise instead. You want to try to win the hand pre-flop so you won’t be out played post flop. Of course, you won’t always be able to avoid confrontation with a good player, but you can definitely limit it. As an example, I recently took a trip to Tunica with a friend of mine who is a very good player. Over two days, we played at the same table for about 16 hours. In all of that time we only played one hand heads up and that one was for small dollars. I’m sure over there were several hands over those 16 hours where we could have done battle, but why would we when there was a super fish at the table giving away enough for all of the good players to share? There are plenty of fish to get chips from, so save the sharks for the final table. Recognize who the quality players are and adjust accordingly. P.S. Thanks for the article JTD! JTD is constantly on the leaderboards at the weekly Fulltilt Poker Tournaments and the live Atlanta Poker Club events. If you liked this article or wanted to discuss more of the strategy, please join us in the Poker Forum. Another good and unique article exclusively on KAP is Tips to Small Stakes Holdem Cash Game. Click here if you were looking for rules on how to play poker.